The sport studies program allows you to bring your love of sport together with a deeper understanding of sports history, culture and practice. You’ll study sport history, psychology and sociology, exploring topics that range from marketing and mass media to race and gender. This major prepares you for a wide variety of career paths in school, college and professional sport, including coaching, administration, marketing and sports communications. It also prepares you for graduate study in areas such as sport law or sport psychology. Students interested in pro leagues, sporting goods or media are encouraged to take supporting coursework in related disciplines such as business, journalism or communications. 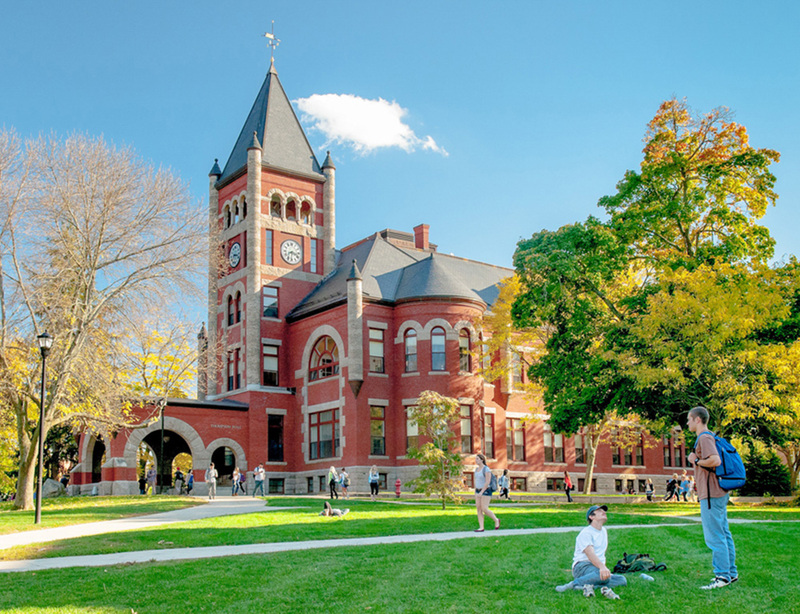 Why study sport studies at UNH? As a student in the sport studies program at UNH, you’ll be able to pursue one of four focus areas: sports information/media relations, management/administration, marketing or coaching/psychology. You will gain practical experience and make professional contacts through internships in coaching, communications, marketing, event management and other aspects of the sport industry. Demand in this industry is expected to grow as participation in high school, college, professional and recreational sport rises. Sport Studies is an interdisciplinary major that provides a foundation for careers in the sport industry. Students may prepare for careers in school, college, and professional athletic administration/management, coaching, marketing, and sports media. The program also prepares majors for graduate study in areas such as sport law and sport psychology. Sport Studies students are encouraged to pursue a second major or minor in a complementary discipline, such as business, journalism, or psychology. Majors take a core of foundation courses as well as electives in applied areas such as sport marketing, athletic administration, and sport psychology. Majors must earn a grade of B- or better in KIN 565 Principles of Coaching and KIN 580 Sport Industry, and a grade of C or better in each required University and Kinesiology course. All majors must complete a minor or 20 credits of prior-approved coursework in supporting areas such as business, psychology, or education. In addition, an internship experience or independent study is required. An internship experience is strongly recommended since it is often critical to career development. Interested students should consult with the program coordinator, Heather Barber, Heather.Barber@unh.edu. This list only includes major classes. Students should be registered for, and taking an average of 16 credits per semester to be ‘on track’ to graduate in 4 years. In most semesters, this means a student will be taking Discovery or elective courses, to meet this 16 credit ‘load’. 16 required credits of electives including 4 credits from KIN 650C Internship in Sport Studies or KIN 696 Independent Study. Select a minimum of 20 credits from other departments. All courses must be approved in advance by faculty advisor. Majors must complete a minimum of 150 hours of industry experience before they can take KIN 761 Senior Seminar Sport Studies. Students must be enrolled as a sport studies major for one full semester before taking KIN 761 Senior Seminar Sport Studies. See advisor for details. Include 4 credits of KIN 650C Internship in Sport Studies or KIN 696 Independent Study. Internal transfers to sport studies must have a 2.5 GPA as well as a minimum grade of C in PSYC 401 Introduction to Psychology, Statistics (PSYC, SOC, DS) and a minimum grade of B- in both KIN 565 Principles of Coaching and KIN 580 Sport Industry. Admission decisions on internal transfer into Sport Studies will be made by the Sport Studies faculty. Space in the option is limited by available faculty and staff resources. Applications may be submitted for admission to either the fall or the winter semester. All decisions will be made between semesters after a review of grades for the latest semester. Admissions will be granted based on space available. The faculty will consider overall G.P.A., grades in prerequisite courses, performance in other Sport Studies courses or activities, and resume. Attitude and commitment will play a major role in consideration. Only completed applications will be considered. Applicants will receive a letter of acceptance, deferral, or denial from the Department Chair. All decisions must be considered final. resume, which must include contact information on two sport industry professionals who can speak to the candidate’s work (paid or volunteer) during the candidate’s college years. personal plan that speaks to career interest in school or college athletics or coaching at any level. 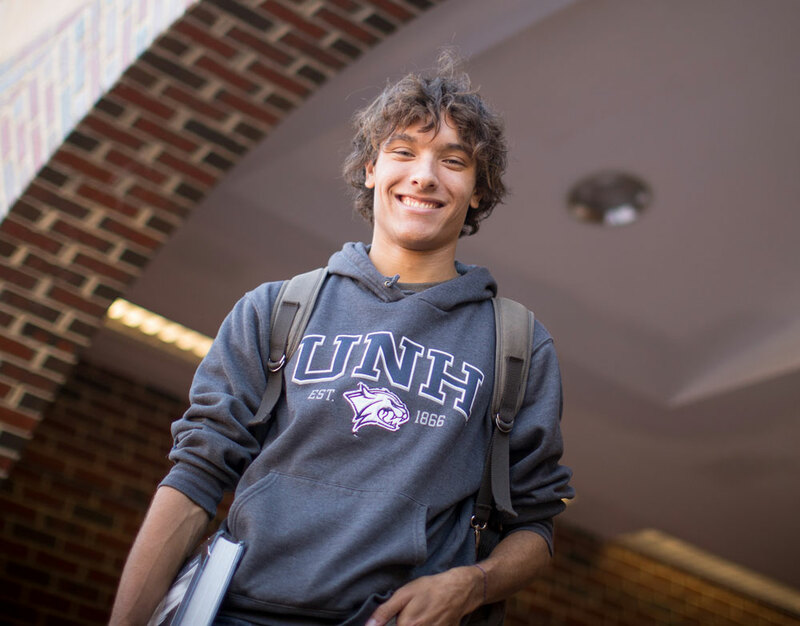 All materials must be received in Room 107, New Hampshire Hall by December 1 (for winter admission) or May 1 (for fall admission). After submission of completed application, schedule an interview with Heather Barber. Part of this interview will include a careful evaluation of all courses in major and cognate needed to earn degree. Applications will not be processed without this interview. Go to the Registrar’s office and request that a transcript be sent to Heather Barber's attention, after grades are posted for the semester. Applications will be reviewed after final transcripts are received. Students who do not follow the procedures or who miss deadlines will not be admitted to the program. All majors are required to present updated resumes, personal plans, and portfolios for preregistration each semester. The field is highly competitive; simply "loving sports" means little. All majors are expected to begin volunteering with one or more of the following prior to seeking an internship: UNH Athletic Department, UNH Campus Recreation; Oyster River Youth Association, the Whittemore Center; Seacoast United Soccer Club. Without experience and a portfolio, students cannot expect to land internships. For more information about jobs and careers in sports see materials in the Sport Studies Lab.